Administrative Law Judge (ALJ) Robert D. Iafe, Office of Administrative Hearings (OAH), Special Education Division, heard this matter on December 4, 2006, in Fallbrook, California. Sharon A. Watt of Filarsky & Watt appeared on behalf of Petitioner Fallbrook Union High School District (District). District representative Sallie Hunt, Director of Special Education, was also present throughout the entire hearing. Respondent Student’s father (Father) appeared on behalf of Student (Student). Father and Student were present throughout the entire hearing. On July 19, 2006, District filed the request for a due process hearing in this case. On July 20, 2006, OAH gave notice setting August 18, 2006, as the date for the due process hearing. On August 7, 2006, at the request of the parties, OAH issued an order continuing the initial due process hearing date. The record was opened on December 4, 2006, and testimony was taken and evidence was offered and received. The record remained open at the request of the parties to submit written argument by December 15, 2006. OAH received timely written argument from Student and District, the record was closed, and the matter was submitted on December 15, 2006. Issue 1. 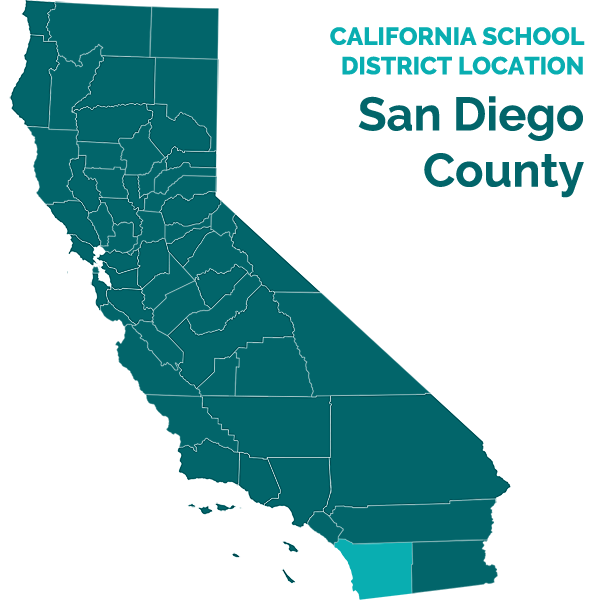 Is the District’s proposed placement of Student in a Special Day Class (SDC) at Fallbrook High School contained in District’s April 28, 2006 individualized education program (IEP) reasonably calculated to provide Student with a free appropriate public education (FAPE) in the least restrictive environment (LRE)? Issue 2. Is the District’s prior administrative non-public school placement of Student at the Institute for Effective Education now no longer the LRE? District proposes to change Student’s placement from her current placement in a non public school (NPA) environment to a recently created alternative on a public school campus. District contends that the inappropriate behaviors which led to Student’s placement at the NPA have significantly diminished. District maintains that the alternative special day class placement with its individualized programs for no more than six students, high staff-to-student ratio, and community outings will help transition student to the general education environment and the community. District contends that the alternative program is the LRE for Student at this point. District intends to gradually transition Student into the alternative program by slowly increasing the percentage of time that Student spends each school day in the new program. Father contends that the alternative program is too new and has no established “track record” of success. He contends that Student, like many autistic students, does not react well to change. Father is particularly concerned about Student’s return to a public school campus because of an incident in which she was handcuffed by police approximately four years ago while attending school on a public school campus. 1. At the time the due process hearing request was filed on July 19, 2006, Student was 17 years old and attending the 11th grade at The Institute for Effective Education (TIEE), a nonpublic school located in San Diego, California. Student is eligible for special education because of autism and mild mental retardation. During the time period at issue, Student resided with Father in Fallbrook, California, within the geographical boundaries of District. 2. As discussed in Legal Conclusion 4, to resolve the issue of whether District’s proposed placement provided Student with a FAPE, the analysis must focus on the adequacy of District’s proposed program. If the school district’s program was designed to address Student’s unique educational needs and was reasonably calculated to provide her some educational benefit, then District provided a FAPE. This is true even if Student’s Father preferred another program and even if the preferred program would have resulted in greater educational benefit. School districts are also required to provide each special education student with a program in the least restrictive environment, with removal from the regular education environment occurring only when the nature or severity of the student’s disabilities is such that education in regular classes, with the use of supplementary aids and services, could not be achieved satisfactorily. 3. This case arises from District’s request that Student be placed in District’s Nonpublic School (NPS) Alternative program, a program provided by District which is located on the campus of Fallbrook High School in Fallbrook. 4. Student requires special education because of her autism and mild mental retardation. Father’s concerns relevant to her educational progress have included his desire for his daughter to be safe, to be well-supervised, and to learn academics. 5. During the 2003-2004 school year, Student and her family lived in the Escondido Union School District. At this time Student was 13 years old and transitioned from Escondido’s elementary school to the high school district. In September 2003, the Escondido Union High School District proposed Student’s nonpublic school placement at TIEE, in part because of her inappropriate and aggressive behaviors. Student had a history of inappropriate and aggressive behaviors at school. These included hitting, kicking, tantrums, crying, spitting, not following directions or classroom rules, leaving the designated instruction area, and inappropriate touching of herself and others. Student began attending TIEE in January 2004. At an IEP meeting to conduct a 30-day review in February 2004, all agreed the placement at TIEE was appropriate. 6. Shortly after placement at TIEE, Student and her family moved to Fallbrook within the boundaries of District. On April 23, 2004, District made an administrative placement of Student at TIEE and began implementing the IEP from the Escondido district. District has continuously provided Student with her education program at TIEE until the present. 7. District has also provided bus transportation to Student from her home in Fallbrook to her classes at TIEE in San Diego. For her morning commute, she is picked up at 6:45 a.m. and travels an average of two hours to San Diego, with some morning commutes taking longer than two and a half hours. Student is picked up after school at 2:20 p.m. and travels an average of one and a half hours from TIEE back home. Student is the only student who rides the bus to and from TIEE resulting in an average three and one-half-hour daily commute during which Student is the only rider on the bus. 8. During the time Student has attended TIEE, her inappropriate behaviors have diminished significantly. The behaviors she now exhibits are minor compared to the behaviors that prompted her placement at TIEE. By November 2005, Student no longer required a one-to-one assistant. 9. District psychologist Peggy Martineau1 prepared a psychological report on Student in November 2005. Her report was based on observations of Student during lunch time and physical education, on formal assessments, interviews, and records review. During her observations, Ms. Martineau noted Student was compliant to instructions from the school staff. She appeared eager to please and responded to ongoing praise. She followed verbal directions though directions had to be simple, concrete, and direct and often had to be repeated for Student to remember a task. Activities had to be switched frequently because Student was distractible and could only focus her attention for about five minutes at a time. From her observation of Student at lunch, Ms. Martineau noted that although Student was at a table with two other students there was no interaction among the students. During the physical education class, Student was engaged in a form of baseball. Ms. Martineau noted the play was parallel, not collaborative, and Student was off-task quite a bit. 10. Ms. Martineau also noted Student continues to have problems with a spitting behavior and loud vocalizations. Student has a behavior support plan for dealing with aggressive behaviors. The spitting behavior appears to be self-stimulating and not an aggressive statement. Antecedents to this spitting behavior are not consistent. With respect to aggressive behaviors, during the past year Student had to be restrained only once for her safety and the safety of those around her. This was a great decrease from previous years when Student used negative attention seeking behaviors excessively. 11. Ms. Martineau’s formal assessment of Student was completed in one session with Student quickly obtaining ceilings of maximum performance and ability on certain tests. During a 40 minute period, Student exhibited loud vocalizations once, the spitting behavior twice, and frequent echolalia.2 She was able to write her first name only, with legible, though immature, letters. She could write the numerals one, two, and three. For the numerals four through nine, she drew various shapes, with some loose approximations of these numerals. She could identify some basic reading words at the first to second grade level. 1 Ms. Martineau has been a school psychologist for 22 years. She has both a masters degree in educational psychology and a masters degree in educational administration. 2 Echolalia is the repeating or echoing of verbal utterances made by another person. Student engaged in echolalia throughout the hearing without any disruption of the proceedings. 3 All statutory citations to the Education Code are to California law. 4 Although Adams involved an Individual Family Service Plan and not an IEP, the Ninth Circuit Court of Appeals applied the analysis in Adams to other issues concerning an IEP (Christopher S. v. Stanislaus County Off. of Education (9th Cir. 2004) 384 F.3d 1205, 1212), and District Courts within the Ninth Circuit have adopted its analysis of this issue for an IEP (Pitchford v. Salem-Keizer School Dist. No. 24J (D. Or. 2001) 155 F. Supp.2d 1213, 1236). 12. On the Childhood Autism Rating Scale, Student’s behaviors fell within the severe autism range as reported by her case manager. The Adaptive Behavior Assessment System-II (ABAS-II) was administered with Student’s case manager and Father as informants. Father did not return his information, but the information received from the case manager showed scaled scores of 1 for all adaptive areas except Leisure, which had a scaled score of 3. Student’s scores on the ABAS-II fall in the extremely low range indicating a very low ability to adapt her behavior to various environments. 13. The Behavior Assessment Scales for Children-2 (BASC-2) was also administered with Student’s Father and case manager as informants. Father did not return his information and the case manager from TIEE did not respond to one-third of the items on the BASC-2 stating it was not possible to evaluate Student in those areas. 14. Ms. Martineau also administered the Street Survival Skills Questionnaire (SSSQ) to Student. This assessment tool is to determine a person’s knowledge of the world around them. Ms. Martineau’s report noted this test is normed to age 15-11; and an average score is 10, with scores below eight being considered low. Student was age 16-9 when the SSSQ was administered and she scored zero (0) on the six areas tested including Basic Concepts, Functional Signs, Health & Safety, Public Services, Time, and Money. 15. Student has needs in many areas. In the area of learning skills, including her observation and attention during school, she needs help to develop skills for engaging in appropriate behaviors during instruction and moving through the school environment. Student has been observed to perseverate on completing activities when given a direction to return from a preferred activity and has left the instructional area. She also engages in a high rate of stereotypic behaviors, such as the self-stimulating spitting behavior and vocalizations throughout instruction, independent activities, and moving through the school environment. 16. In the area of general motor skills, Student has basic motor skills. She can walk, run, skip, jump, and balance and can reliably trace simple shapes like lines, circles, and squares. However, she needs to develop her skills to draw shapes, letters, and numerals. Student needs to increase her skills for copying shapes, letters, and numerals. Though she can type letters with her right index finger, she does not follow the sequence of letters when she attempts to type a word, and sometimes randomly types letters on the keyboard. 17. Student has receptive language needs. She is able to follow simple two-step and three-step classroom directions and can follow directions to select items described by a feature. However, when given more complex directions, such as to get an item described by multiple features, she will retrieve an item that fits only one of the features. Student needs to increase her skills to be able to follow complex directions. Student also has elementary verbal skills needs. She needs to increase her ability to answer questions regarding her daily activities and her ability to engage in conversations appropriately. 19. Unlike Student’s IEP from the 2004-2005 school year, the proposed IEP dated April 28, 2006, and drafted with input from school team members from both TIEE and District, does not include any goals to address the inappropriate behaviors and inappropriate touching that prompted the original placement at TIEE. While Student still engages in some inappropriate behaviors, they are generally described as minor or mild. 20. Beginning in June 2006, and for the 2006-2007 school year, District created its Nonpublic School (NPS) Alternative program on the campus of District’s Fallbrook High School located in Fallbrook. This campus is located approximately three miles from Student’s home. At an IEP team meeting held on April 28, 2006, District offered this newly created program for Student’s placement beginning in June since the inappropriate and aggressive behaviors, which had prompted the placement at TIEE in 2004, had improved substantially. 21. District’s NPS Alternative program is a very individualized program to help transition students on the campus of the general education environment and into the community. District staffs this program with one teacher and three paraeducators. The program is designed for no more than six students. The class participates in Project Workability which is a program designed to train special education students in the community. The goal is obtain employment for the students so they may gain self sufficiency. The class also participates in community outings for a part of each day. The community outings are designed so that students are not isolated but are familiar with, and become a part of, their community. The location of the program on the high school campus will provide Student opportunities in the general education environment, including floral classes, dance classes, and assemblies with same age peers. 22. District also proposed to provide bus transportation from Student’s home to the Fallbrook High School campus. In the morning, Student would be picked up at 7:10 a.m. and dropped at school by 7:45 a.m. In the afternoon, Student would be picked up from school at 2:30 p.m. and be home by 3:00 p.m. The total of Student’s morning and afternoon commutes would be approximately one hour on the bus each day. There would also be between eight and 11 other high school age students on the bus. 23. Gary F. Cox, Ph.D., an educational consultant for Student from Coyne & Associates, Inc., attended the April 28, 2006, IEP team meeting. He reviewed and agreed with each of the goals and objectives in the proposed IEP dated April 28, 2006. District invited Father and Dr. Cox to observe the proposed Fallbrook placement after the program began in June 2006. Neither Father nor Dr. Cox accepted the offer to observe the Fallbrook placement until Dr. Cox’s first visit many months later in September 2006. Father is resistant to change in Student’s placement because of her autism. In fact, Father was resistant to the proposal to change Student’s placement to TIEE, when TIEE was first proposed in 2004. 24. Father and Dr. Cox eventually accepted the offer to visit the proposed NPS Alternative placement on behalf of Student. No evidence was offered that this placement was inappropriate for Student. However, based on the fact that the new program had no track record as compared to TIEE, Father was unwilling to agree to this placement. He also noted that children with autism typically do not handle change well. Father also had a fear of returning Student to a public school because of a public school incident over four years earlier involving police. During that incident, Student was restrained in handcuffs for several hours after police were called to control Student because of aggressive and violent behavior. For these several reasons, Father would not agree to the NPS Alternative placement offered by District. 25. The incident involving Student and the police occurred over four years ago and involved different individuals from a different school district who have nothing to do with Student’s current, or proposed, education program. During Student’s education over the last few years with District, there has been police involvement with her at school. This more recent history is more predictive of the education Student should continue to receive with District. There was no evidence that Student was the subject of any incident reports for her behavior while attending TIEE, except for one report from 2005, but that was based on an incident where another student had scratched Student. 26. Sallie Hunt, Director of Special Education for District, was involved in the preparation of the most recently proposed IEP. She was confident District could implement those goals in the NPS Alternative program. Moreover, the Alternative program’s student to teacher ratio was as good as, or better than, that of TIEE. Ms. Hunt also noted that during her visits to TIEE to observe Student, she did not see any of the other students talking with Student at all. There would be same age language peers at the Fallbrook campus and this would benefit Student since she has good eye contact and language skills, which is not typical for many autistic children. Additional contact with same age peers would also be available during adaptive physical education classes and assemblies. 1. Follows teacher directions to stop preferred activities by cleaning up the activity, putting it away and returning to the instructional areas. 2. Sits appropriately at an instructional table with her feet on the floor and her hands in her lap and spontaneously orients to the teacher and/or materials. 3. Typical instructional sessions are 10 minutes in duration; however [Student] has been observed to engage in instruction for 20 minutes. 4. Engages in group activities for up to 20 minutes. Group activities include playing games (e.g. modified Pictionary), elective activities (e.g., art projects) and mastered academic tasks (e.g., labeling items). 5. Reliably follows school procedures (e.g., morning arrival, lunch procedure, afternoon dismissal). Acquires new procedures after 2-3 trials. 6. Independently follows activity schedules of previously mastered activities. In addition, there was no evidence that any representative of TIEE opposed the transition of Student back to the Fallbrook campus. 28. There was also evidence of Student’s increased ability to accept change, particularly the type of change that would inevitably result from Student’s placement at the NPS Alternative program. During the previous year at TIEE, Student was moved to a less academic program, there was a move to a new building, and a new teacher was assigned to Student. There were no reports of any problems with these various transitions. 29. In spite of some recent success with change, District’s proposal for program transition still considered the potential for Student’s resistance to the change. District’s offer to place Student at the NPS Alternative class includes a transition period during which Student will attend portions of her day at both the Fallbrook campus and the TIEE campus. The transition is to occur slowly, for as long as a six week period of time. During this transition, District staff will go to TIEE to become familiar with Student. Student will go to the Fallbrook campus beginning with short periods of time, perhaps one hour or so a day, to permit Student to slowly become familiar with the new setting. The amount of time spent at Fallbrook each day will increase during the transition period in accordance with Student’s ability to tolerate the change. Such consideration for Student’s needs results in an appropriate program offer by District. 4. To determine whether the District offered Petitioner a FAPE, the analysis must focus on the adequacy of each district’s proposed program. (Gregory K. v. Longview School District (9th Cir. 1987) 811 F.2d 1314.) If the school district’s program was designed to address Petitioner’s unique educational needs, was reasonably calculated to provide him some educational benefit, and comported with his IEP, then the District provided a FAPE, even if Petitioner’s parents preferred another program and even if his parents’ preferred program would have resulted in greater educational benefit. School districts are also required to provide each special education student with a program in the least restrictive environment, with removal from the regular education environment occurring only when the nature or severity of the student’s disabilities is such that education in regular classes with the use of supplementary aids and services could not be achieved satisfactorily. (20 U.S.C. § 1412 (a)(5)(A); Ed. Code § 56031. 5. Under Schaffer v. Weast (2005) 546 U.S. 49 [126 S.Ct. 528, 163 L.Ed.2d 387], Petitioner District has the burden of proof in this case. 1. Pursuant to Factual Findings 1, 4-19, and 20-30, and Legal Conclusions 1-5, District’s Nonpublic School Alternative program located at Fallbrook High School is an appropriate educational program for Student in the least restrictive environment. District’s offer to provide of services during the 2006-2007 school year in District’s NPS Alternative program was designed to meet Student’s needs. 2. For the same reasons, and pursuant to Factual Findings 1, 4-19, and 20-30, and Legal Conclusions 1-5, District’s prior administrative placement of Student at TIEE is now no longer the least restrictive environment. The inappropriate and aggressive behaviors that required Student to be placed in the more restrictive environment provided by TIEE do not now exist. The goal of IDEA to place each student as close to the general education environment as possible, while still meeting a student’s needs, is met by placing Student in District’s NPS Alternative program. In the absence of the inappropriate and aggressive behaviors, Student’s needs can be met, and she can receive educational benefit, at District’s NPS Alternative placement at Fallbrook High School. District’s April 28, 2006, IEP offer will provide Student a free and appropriate education in the least restrictive environment.